The wedding invitation is the first chance that a couple gets to formally announce their wedding and officially extend the invitation to their closest friends and family. 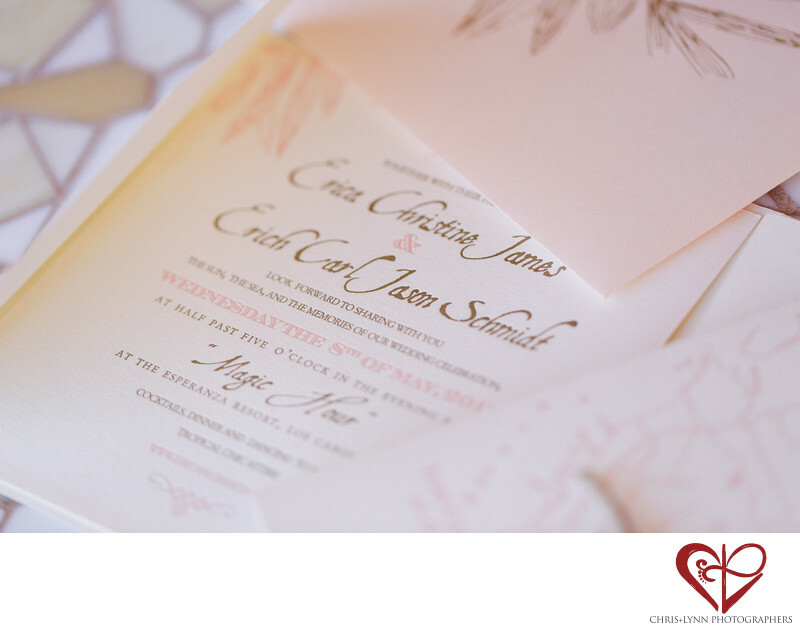 This custom-designed invitation lays out all of the details of the big event for the wedding guests. The stylish presentation of the information, with alternating fonts and a combination of pink and gold type, is so aesthetically pleasing. This invitation successfully presents all of the wedding details in a clean, straightforward manner. As photographers, we love to incorporate the wedding invitation into photos of the pre-ceremony details, essentially tying together the first step of the wedding planning process with the big day! The wedding invitation will be a memento for the bride and groom for years to come after their wedding. 1/1000; f/2.8; ISO 400; 100.0 mm.